Git became one of the most popular distributed revision control system. It was developed by the linux kernel maintainer Linus Torvalds and has a big community. 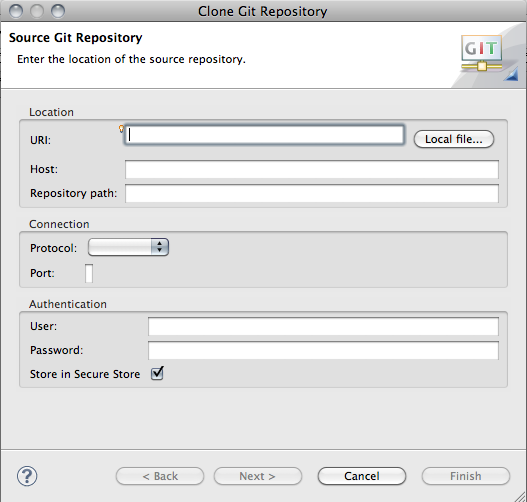 To include Git in your workflow or make it possible to review a repository you are working on it's nice to have it included in your IDE. 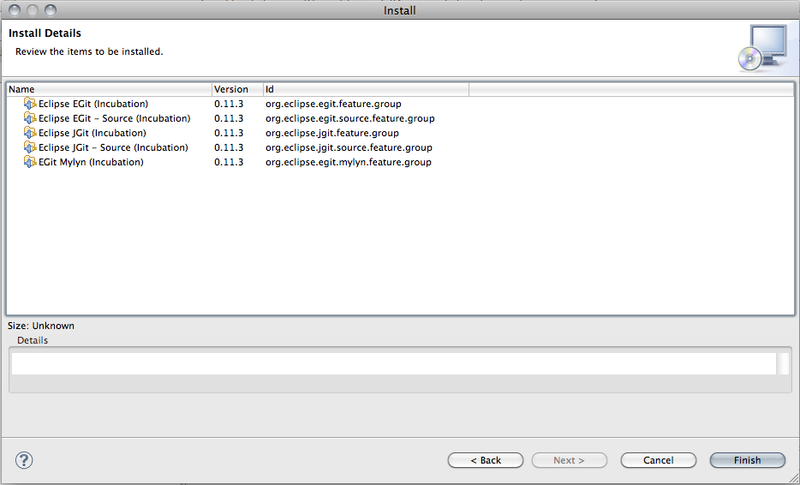 For Eclipse there is a project called EGit which develops an connector plugin. 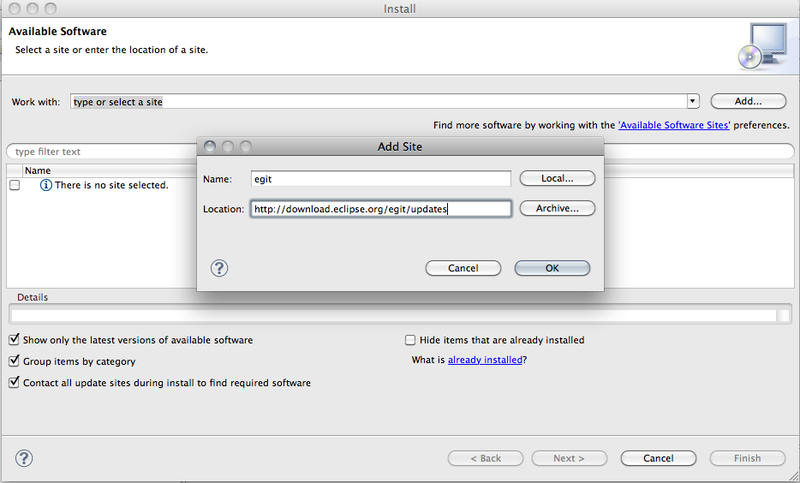 This short tutorial should help you to include EGit in Eclipse. After you add the software repository you need to select the necessary packages for EGit. 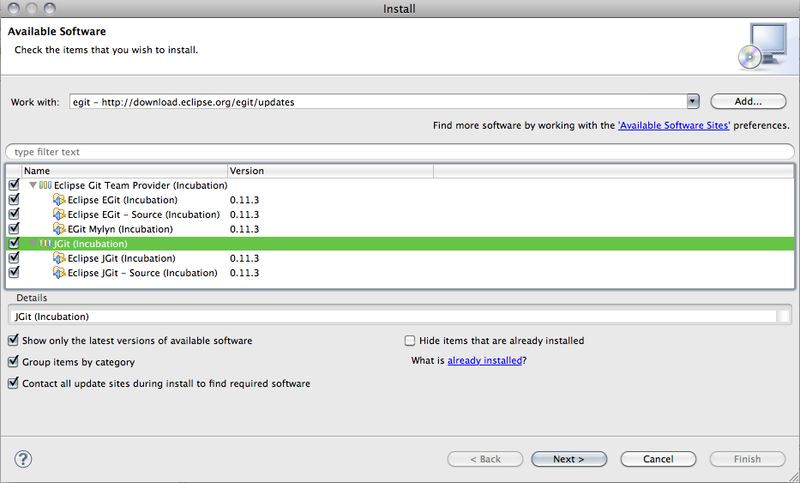 The installer pulls needed dependencies automatically for you. In my case there are no more packages needed and with one click on the finish button the installation starts. 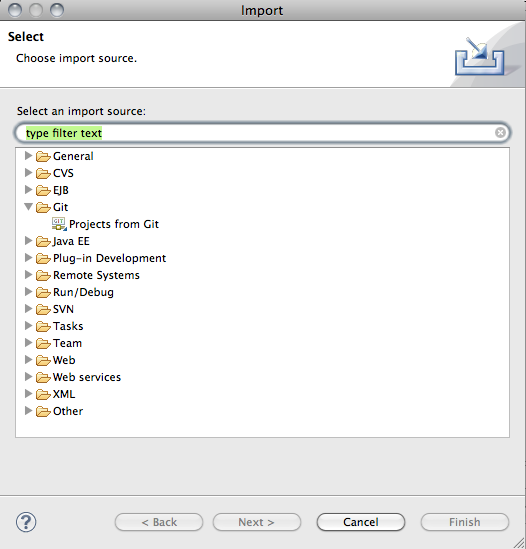 After the Installation is completed it's recommended to restart your Eclipse then you will see a new point called "Git" if you try to import a project. Enter the URL and log in information to connect your repositiory.